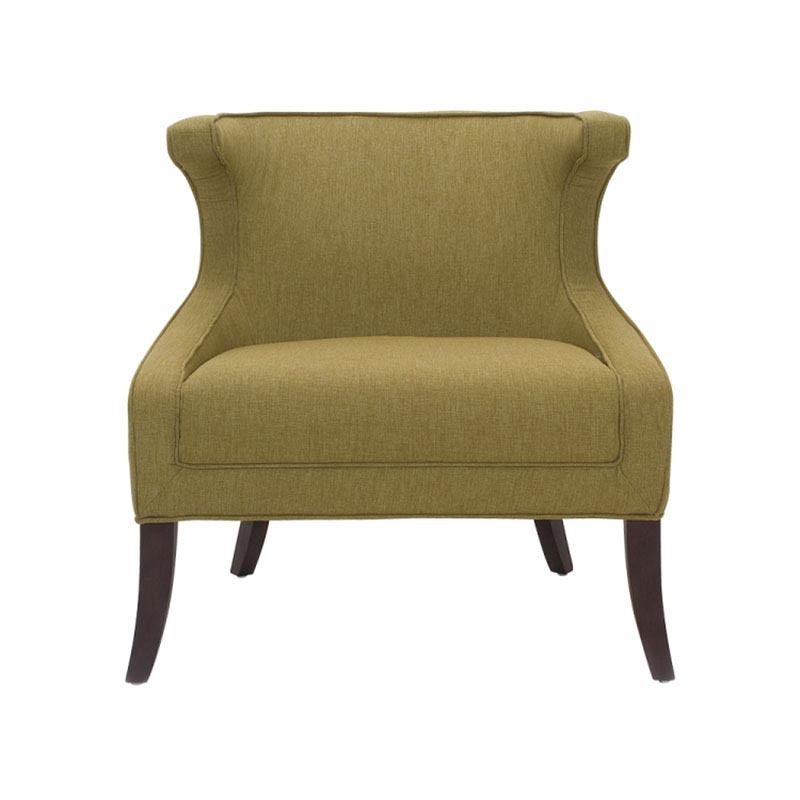 A stylish and elegant chair with a dramatic curved back that helps break up angular rooms. Fresh basil fabric with espresso legs creates a nice pop of soft color. 30.5" x 29" x 32"